A group of farmers and fishermen on a farm tour in Spring Green. Joe Stapleton owns a farm near Spring Green, Wisconsin. He's a conventional farmer, so he does use some chemical herbicides and fertilizers on the fields where he grows corn, soybeans and alfalfa. But Stapleton also uses cover crops and no-till drilling, practices made popular by organic farmers to prevent runoff of soil and nutrients on his hilly farm. "We're not out to make a dollar at any cost," Stapleton said. "This water isn't only your water, it's my water, too. I live here, and I am not going to take a chance on contaminating anything." But Stapleton's water in Wisconsin eventually becomes other people's water, too, people like Roxanne Savin, who owns a shrimp dock and boat in Louisiana. Many people like Savin who rely on the seafood industry are worried about the future of their business because of nutrient runoff from farms along the upper Mississippi River. "Stuff that they're spraying and whatever comes down the rivers into the Mississippi River and comes down to where we at," said Savin. "(The pollutants) kind of create a dead zone for us; and it's detrimental to the seafood industry." This "dead zone" is about 6,000 square miles in the Gulf of Mexico that can't support marine life. Studies have shown nitrogen and phosphorus from agricultural fields along the Mississippi are making their way into the Gulf and creating massive algae blooms. As bacteria work to break down the abundance of algae, they consume almost all of the water's oxygen. As a result, marine life such as fish or shrimp either leave the affected area or die. The steady growth of the Gulf's dead zone is why Savin and two other fishermen traveled more than 1,000 miles to meet farmers in Wisconsin and hear about what they're doing to preserve the downstream industries depends on. 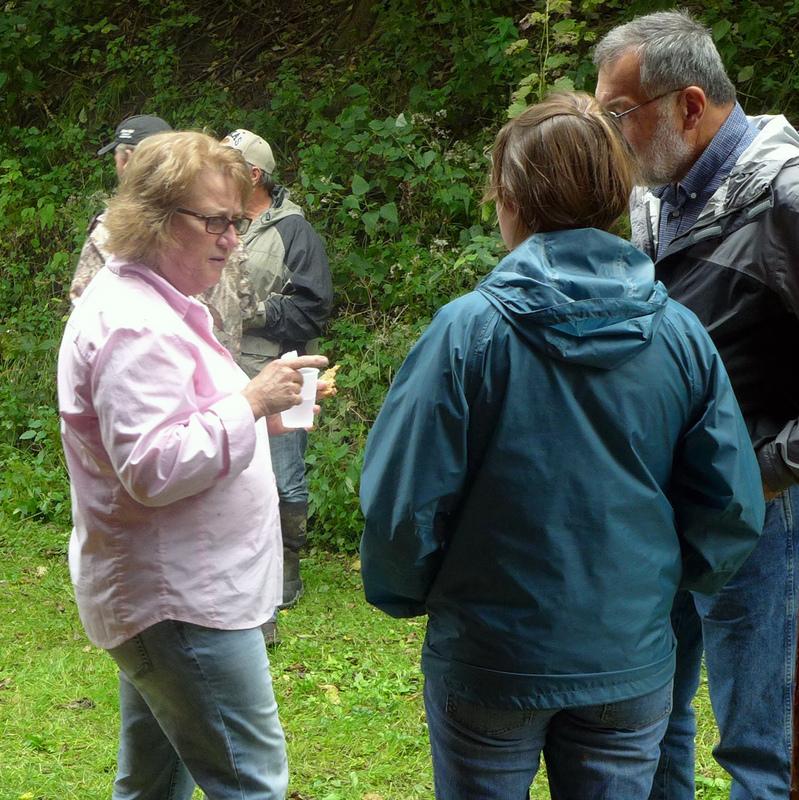 The fishermen were invited to Spring Green for a farm tour hosted by the Farmer-Led Watershed Group in Iowa County. This group of eight farmers came together last year to apply for a new grant program through the Wisconsin Department of Agriculture, Trade and Consumer Protection. They received $20,000 to develop nutrient management plans and invest in water conservation practices. But many of the farmers in the watershed group didn't join to help fishermen in the Gulf. Stapleton said he had a simple motivation for starting to use cover crops. "Three-dollar corn," Stapleton said. "At the time I started, corn was still $4.50, $5 (per bushel), and I thought, 'How am I going to make any money?' or 'How am I going to stay ahead of the game?''" Stapleton said he has seen improvements to his bottom line over the last few years. He uses less herbicide and fertilizer, which saves him money. It also means he has less passes over the field, which in turn saves him time and fuel. As he's learned more about water conservation practices, Stapleton said he's found new reasons for participating in the watershed group. "At the time (I started), I didn't realize the full impact, I guess you could say, of the water all the way down to the Gulf of Mexico, but you hear about that, and it's a worthy endeavor," Stapleton said. Which is something Savin appreciates. "The people I met with and talked to over here, as much as they're concerned about their farming and what's going on here, I see that they really are pretty much concerned about what goes on in our area, too," said Savin. DATCP is considering a new round of grant applications for producer-led watershed groups in 2017.